Saugus, MA (July 13, 2018) – Police in Saugus, Massachusetts responded to a crash with injuries along Route 1 on Thursday morning. The accident occurred on Lynn Fells Parkway just after 8:00 am and involved multiple vehicles. Authorities reported that injuries were sustained in this crash. Medical personnel arrived on scene, along with police and fire officials. The injured victims were provided with medical treatment for their injuries. At this time, there is no information on the severity or extent of injuries suffered in the accident. The southbound lanes of Route 1 experienced heavy delays leading to the accident scene as police worked on site to investigate the crash and clear the roadway for motorists. Traffic was backed up for miles, all the way to nearby Lynnfield. Officers remained at the scene for about an hour. Residual delays were experienced after the crash was cleared. The accident remains under investigation with Saugus Police on Friday morning. We hope that all involved in this crash have a full and quick recovery. Being the victim of an injury accident is never easy. You face a mountain of problems including pain from your injuries, high medical costs and the prospects of missing work for an extended period of time. All of these things can take a major toll on both you and your family. If you are hurt in a Massachusetts car accident that was not your fault, the law entitles you to compensation. All Massachusetts residents are required to carry $8,000.0o of personal insurance coverage, also known as PIP. This coverage kicks in regardless of fault. If your injuries or damages exceed the amount of PIP coverage, you can look to the other driver and their insurance coverage for additional compensation. In many cases involving personal injury, the PIP coverage is easily exceeded and the other insurance company must become involved. 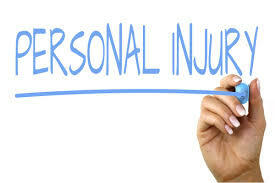 When dealing with insurance companies, you need an experienced personal injury attorney on your side. At the Law Offices of Jeffrey S. Glassman, we have decades of practice and experience in car accident cases. We have recovered millions in settlements and verdicts for injured citizens across our state. Although we cannot guarantee a specific result in your case, we can promise you that you will receive our best effort and undivided attention towards your case. To discuss your situation with one of our Boston injury attorneys, please call us at 617-367-2900 today for a free consultation.